CyberLink PhotoDirector 6 Deluxe is the easiest way to create amazing photos. Effortlessly manage, and touch-up your family photos with an array of powerful, yet intuitive features. Remove unwanted objects from your shots without damaging the rest of your image with Content-Aware Removal, capture perfect group photos that always show the best smiles with Face Swap, instantly apply hundreds of one-click presets and more. With PhotoDirector 6 Deluxe, you can create memories to cherish & share. 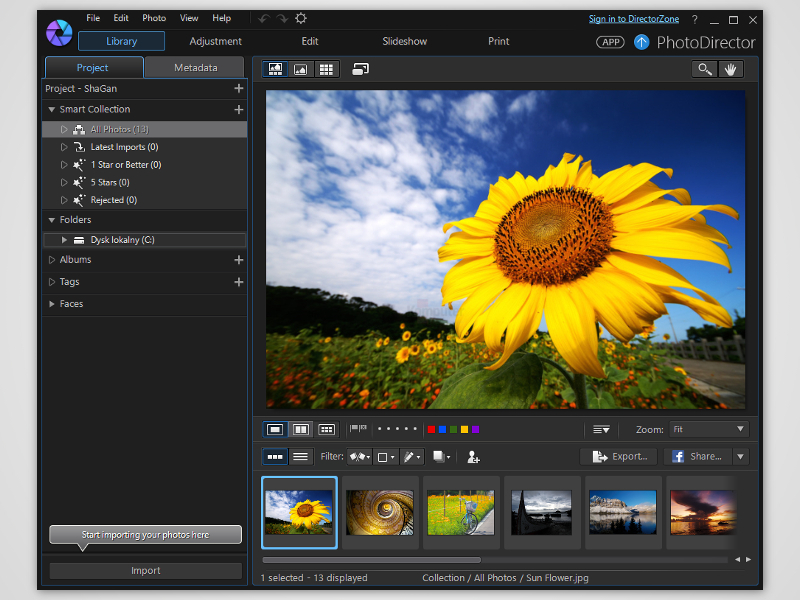 PhotoDirector 6 Deluxe is a unique photo editor that provides a streamlined photography workflow – efficient photo management, complete adjustment and creative editing tools, PhotoDirector 6 Deluxe lets you adjust your images in a non-destructive environment and provides all you need to turn your RAW images to works of art.